Black History and Women in Horror Month merge to offer a rich, unique perspective on the lives of marginalized people who have looked to inject positive, inclusive, and transformative work into the consciousness of the human condition. 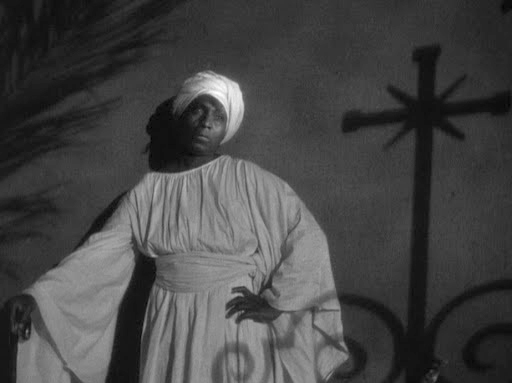 To kick off February's celebration and acknowledgement of both movements, I wanted to look at the genesis of African American portrayals in horror films as well as look at two, prominent Black women that were in some these films. Rarely does Black History Month highlight the contributions of Black women in horror cinema. This consideration enriches the prosperity of Women in Horror Month as well. The beginnings of narrative film were the playground of blackface if a script called for African American characters. These characters were more so caricatures for the fodder of white audiences; not human and always dangerous. Relating to horror, "early reference to Blacks in association with a spooky theme was in 1897 when the American film company Biograph offered a short, very likely comedy, with the offensive title Hallowe'en in Coontown, thereby linking Blacks to the frightful holiday" and putting a stamp on the concept that associated African Americans with innate deviancy. Eventually, "these perspectives of Blacks as odd and primitive would become mainstay in horror over the next century, particularly in films which depict Blacks as savage, deadly natives (e.g. Black Moon )." The Blacks-as-monstrous narrative was an easy injection into early horror films due to public policy mandated to justify African enslavement on North American soil and soon after, a Separate But Equal doctrine. What better way to accent this point by beginning to use real-life negroes in film. The Sambo and Rastus film series from 1909 "united horror and slapstick with real Black actors as stars to offer one of the first 'Black horror' films. The 1915 horror-comedy production The Undertaker's Daughter" which tells the simple story about a woman caught between a triangle for the affections of two men and marriage with apparently some death and lots of funny scenes of people falling. The Birth of a Nation is not part of the horror genre. Nevertheless, it introduced, and secured in the American popular imagination, a character of quintessential horror that would become a recurring, popular narrative device for instilling fear. The opportunities for African Americans in horror during the 1930s has been described as "dreadfully regressive". But two things began to happen during this decade: more African American women were taking roles in horror films, and "jungle films," about the "uncivilized lives of Blacks in places such as the continent of Africa or on the island of Haiti" emerged. These depictions were mainly of alluring Voodoo witches, magical Voodoo maids, and lusty African tribe women. Most notable for these depictions were Ingagi (1930), White Zombie (1932), King Kong (1933), and Black Moon (1934). In the 1930s, it was "Black women's sexuality--not Black romance or love--that captured the attention and imagination of image-makers during the 1930s horror cycle." One prominent exception in rare form was Madame Sul-Te-Wan who took an uncredited role as a Native Handmaiden in King Kong. She was also Ruva in Black Moon and played a central role in Maid of Salem (1937) as Tituba. 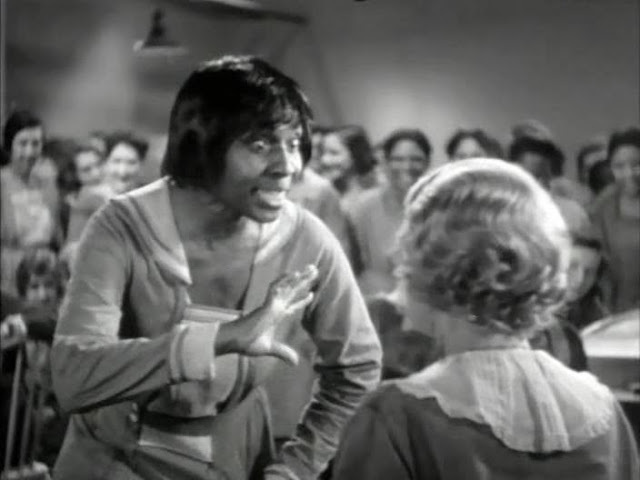 Although horror in the 1940s had its share of minstrelsy, "Black horror" emerged even more "as the horror genre saw some of its most compelling stories, unique characterizations, and thoughtful treatments of Black life and culture" at its time in films like Son of Ingagi (1940). Actress Laura Bowman has been lauded for her role as Dr. Helen Jackson in Son of Ingagi directed by African American filmmaker Spencer Williams Jr. In addition, Williams sought to change popular depictions of Blacks in horror as complex, balanced individuals. Well into the 1950s and 60s, African American portrayals in horror were sparse and riddled with damaging stereotypes. Things took a more mainstream, gargantuan turn with 1968's Night Of The Living Dead and what the character of Ben became as a symbol of the times and African American participation in on-screen horror in an upswing manner. Still, it is important to look back at the Black women and men who persevered in the worst of America's sociopolitical conditions in the Hollywood and independent film circuits. Their stories and resumes are clearly an imprint in film history and I've only scratched the surface of their contributions here. I encourage everyone to check these films out during this month to take a left turn on what we envision as both Black History and Women in Horror Month.